Fu played quite well and solid yesterday, he leads Gould 6-3 before the second session. Fu was up by a firm alarm in his hotel last night and had a little sleep. This affect his performance this morning. In the first session of the match, both players are not awake. This is a very tight frame, lastly Gould wins the frame by a bit of luck. Gould goes on to win the second frame in the session with 66, he is just one frame away to level the match. It is a key frame when Gould level the match 6-6 from 3-6 down. Gould takes five frames in a row, he leads 8-6 ahead of Fu. Fu finds his confidence and back into the race after frame 17. He levels the match 8-8 with a century 100. Gould took the very important 17th frame, 59 put him forward to lead 9-8. In the 18th frame, both players have chances but Gould wins it. Gould wins 10-8 over Fu. Brilliant performance, great long pots and confidence by Gould. He reaches another last 16 of WC. 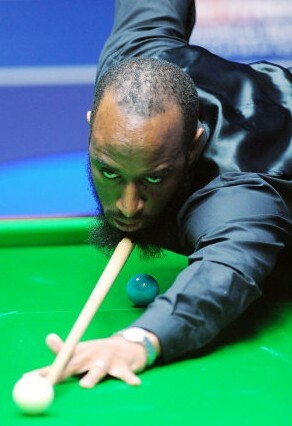 His opponent will be Judd Trump in next round. Each frame of this match takes at least 20 minutes, a slow burning one. Walden 4-4 Mcleod before the second session starts. Mcleod goes 9-5 up on Walden after 5-5 with 62, 69. Walden pulls one back to be 6-9 behind. Mcleod beats Ricky Walden by 10-6 after a long slow frame. Along with his defeat, Walden will be out of top 16 seeds at the end of the season. It is a disappointing season for Walden but not for McLeod. It is first ranking last 32 victory for McLeod, Congrats! He faces either John Higgins/Stephen Lee in next round. It must be a tough match for him. Dott leads 6-3 before the second session starts. King has a great chance to pull one back, narrow the gap to 6-4 but Dott extends to lead 7-4. King gives a good response in the next frame, a century of 138 put him 4-7 down on Dott. King wins three frames in a row and Dott only leads 7-6 before mid-interval. King is definitely back into the race. After mid-interval, Dott extends his lead to 9-6. King pulls one back but then Dott does not give any more chance to him. Dott wins 10-7, he faces The Captain Ali Carter in the next round. A match that snooker fans concern and looking forward to it. Couple of mistakes by both players in the first frame, Lee takes opening frame. Higgins wins the next three frames, go 3-1 ahead of Lee before mid session. Lee does not perform very well after first frame, he cannot pot long pots. First in the match is by Higgins, 133 brings them 4-1 lead. He knocks a back-to-back century 101, he goes 5-1. 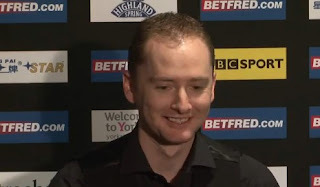 Lee is back to 3-5 down before Higgins hit a 131 to end the session. 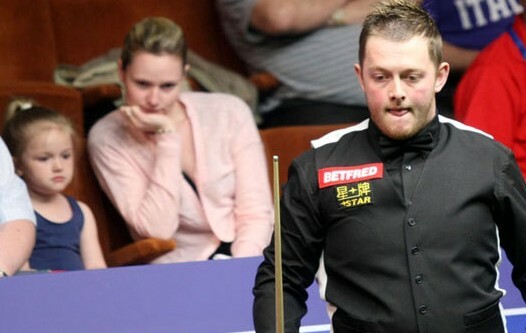 Debutant Robertson wins the first frame but he does not take any more frame in this session. Selby wins the eight in a row with 56, 82 after losing the opening frame. He enjoys a great session, leading 8-1 over the debutant. 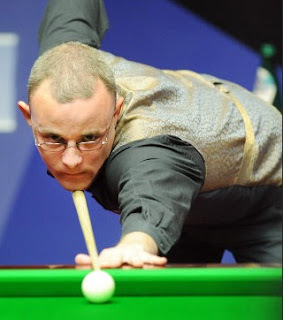 Selby is only two frames away to set up a clash with Hendry.